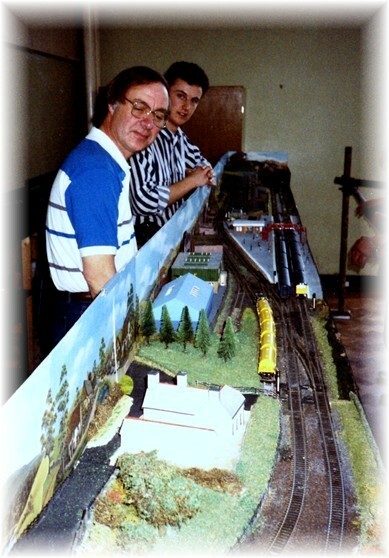 The Redditch Model Railway Club went through a phase in the 1970's and 1980's of creating exhibition layouts that maybe only got exhibited once or twice usually at a Club show. Bordesley Parkway was the last of that line. 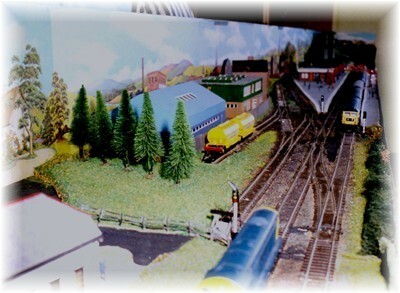 The layout started life in the mid 1970's as an American HO scale outline layout based in the Rocky Mountains as a member at the time had a quantity of stock suitable for such a layout. This layout or rather the baseboards had by 1982 been reused to create a British OO scale layout based in the Derbyshire peak district. 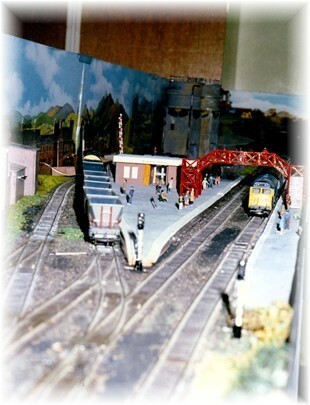 The junction station was based on the Midland Railway practice and had its last outing in this configuration at the 1986 Redditch Model Railway Exhibition. 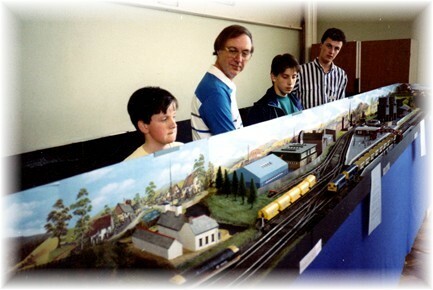 For the Club's 21st Anniversary Model Railway Exhibition in 1988 the layout was rebuilt for one last time as a modern image parkway station set in the 1980's. Many of the original buildings were replaced including the original station building that was replaced by a simple single storey flat roofed building and freight yard became a cement terminal. The following are a number of pictures on it's one and only ever public exhibition at the Club's 21st Anniversary exhibition over the weekend of the 14th and 15th May 1988 at the Abbey High School. After it's one showing in 1988 Bordesley Parkway initially went into store. During 1989 the layout was dismantled to make way for Arrowmouth. The timber from the layout was used to make the supporting trestles on Arrowmouth. A number of the building have been used in a diorama that is used to advertise the Club and parts of the Cement terminal are now on our Dagnell End layout.